Not to be put off by lack of surfaces to add my growing plant collection to, I’ve been doing some research on some wonderful new designs that will quite literally elevate your plant collection. Whether you like to mix things up with faux and real, or are an avid green-fingered collector, you really can’t have enough plants to add some instant greenery goodness. Plants are continuing to grow in their popularity and it’s really no surprise when you think about it. 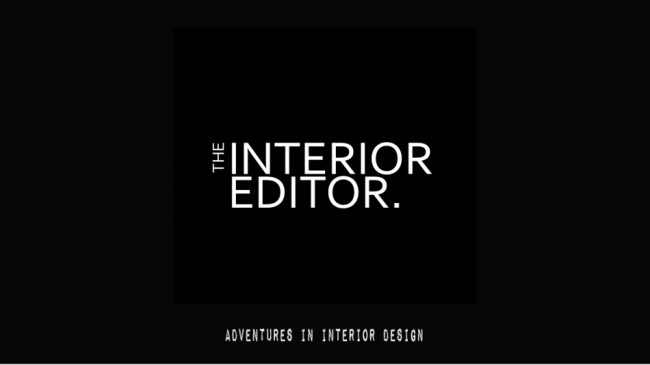 They not only make our homes sing and come alive with colour and texture, they’re good for our wellbeing too. Designers are acknowledging our love affair with houseplants and are ensuring that we can show them off to their best advantage. They’ve also taken on board the fact that our living spaces are getting smaller. 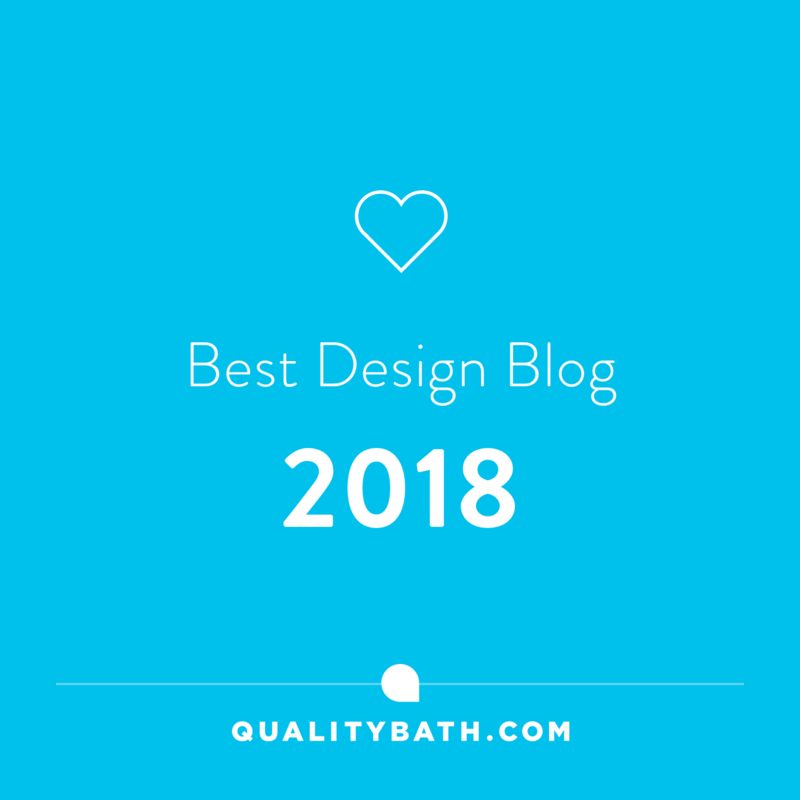 Today I’ve tracked down 11 designs that tackle the need and want to display your treasured plants even if space is limited. These Vertical Flowerpots are both practical and decorative and provide your homes with a fab alternative to the classic flowerpot. They’re also versatile as you can mix it up a little and use some of the pots as handy storage as well as displaying your plants. Perfect for home offices or busy kitchens where work surfaces are fighting to be clutter-free and can often be limited. 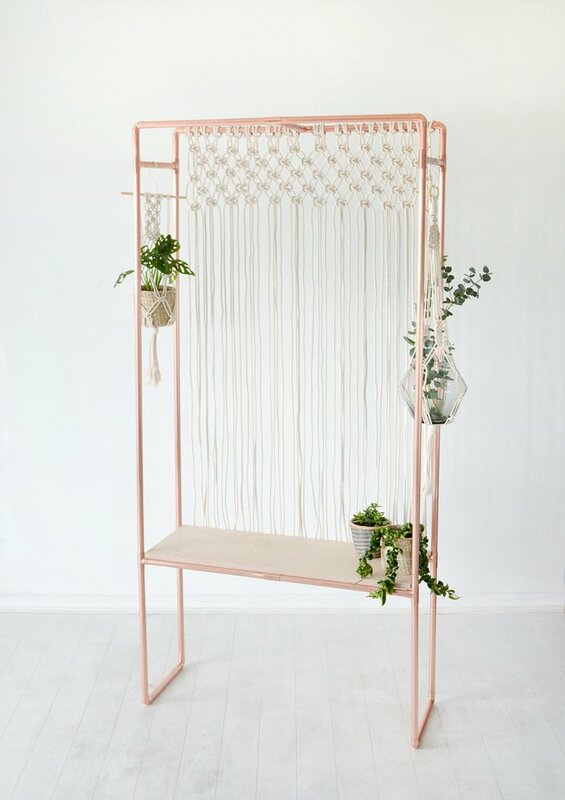 I’m also thinking you could get creative and create a hanging garden room divider by utilising several hung in a row. 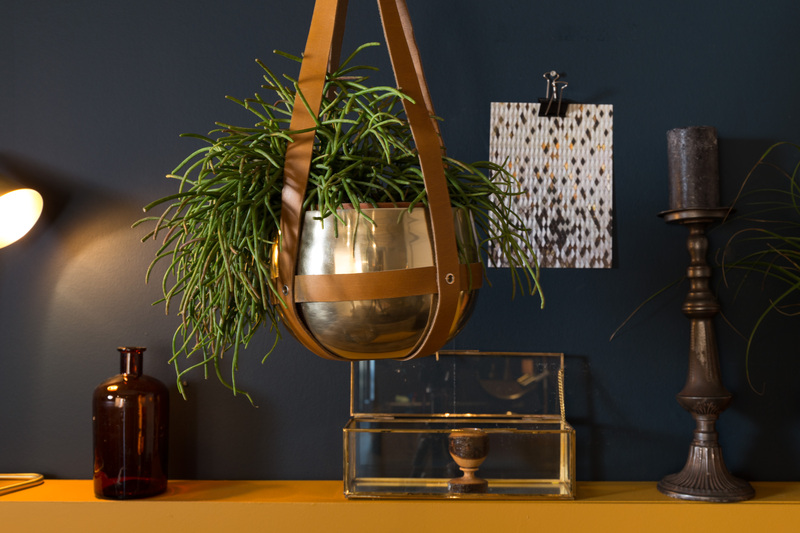 If you read my Open Plan Living & Sound, you’ll know that plants are great at absorbing sound! What’s not to love about these cute on-trend grey concrete mini vases with their contrasting shiny trim of gold brass. If you’re wanting to add to your mini succulent collection, then these would be perfect. You can, of course, stand them but they do come with a natural twine hanger so the choice is yours. They’re also great doubled up as mini storage pots to keep the likes of desk areas tidy. And at £14.95, they’re an affordable treat for you and your home. With a nod to the Art Deco style, we’ve seen emerging, this Uyova Metal Wall Planter will add instant glamour to your walls. I’m loving the on-trend teal colour but there’s also a pink version if you prefer a softer colour. Both are finished with a brass detail bracket. The planter is removable too which always makes life easier for watering and deadheading. Or why not add your favourite faux plant. It’s also currently on sale at £16.50. 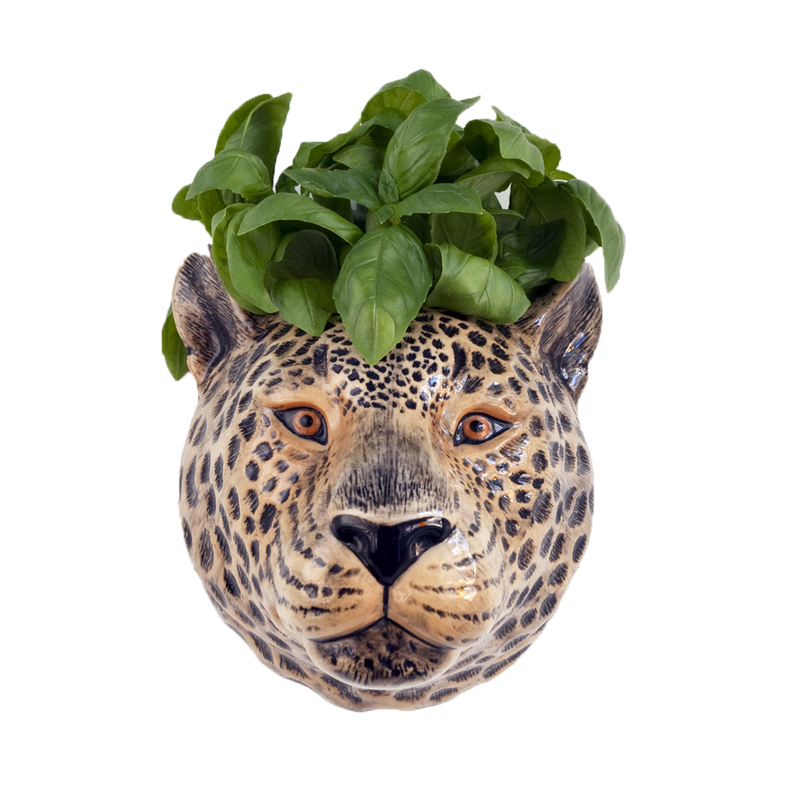 For those that are loving all things leopard, this wall vase by Audenza will be a great one to add to your collection. It may not be the new pair of shoes you were after in your favourite print but it certainly cost less at £29.95 It’s handpainted and there’s also a matching tall standing vase. I’m loving the array of new designs coming out of plant pots on stands. 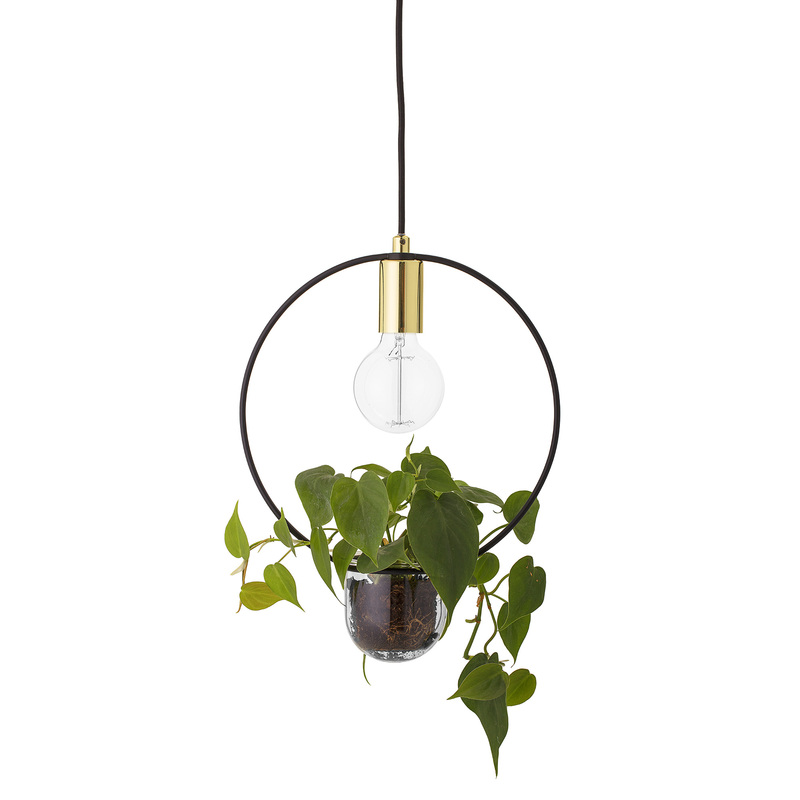 This one particularly caught my eye as I’ve been stalking The Forest & Co. website when researching for circular mirrors, which I hasten to add we still haven’t decided upon!! Anyways, this plant stand is great if you’re looking for a solid, sturdy and virtually unbreakable number as it’s made of iron. Particularly good if you have little ones who have a habit of pulling things over. The pot itself is made from aluminium so we’re looking at a piece that’s going to last! Prices start at £95 so an investment piece that will survive the coming trends due to its simplistic form and being black means it’ll fit in with any changes of decor. This one is going on my wishlist! 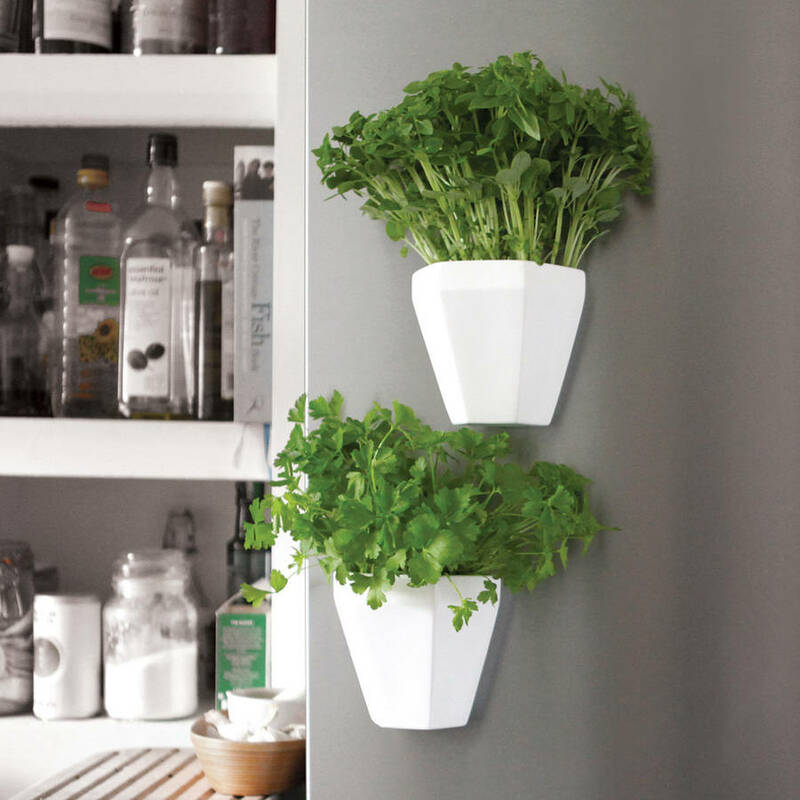 If space is limited in the kitchen, then you could grow a vertical herb garden on your fridge, kitchen boiler or noticeboard. 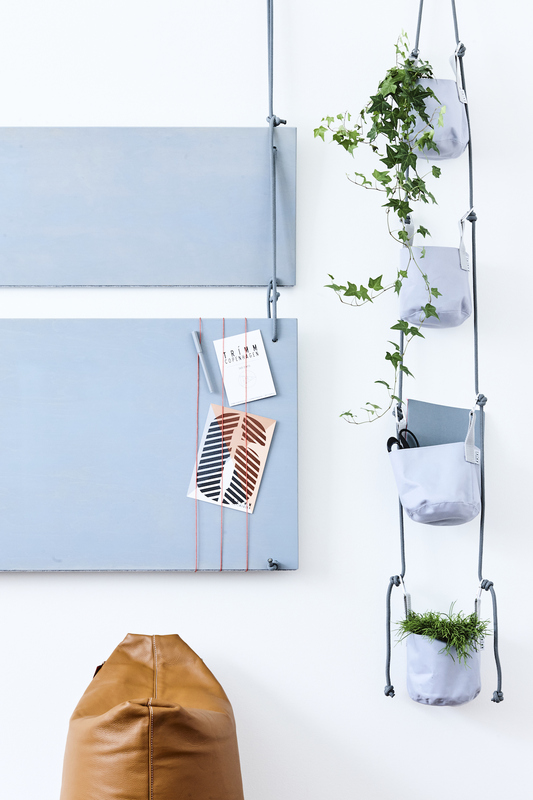 This wall planter uses the magic of magnets that will attach itself to any flat steel surface and can hold up 200g in weight which is more than enough for a herb plant. Made from bone china, handcrafted in Stoke-On-Trent. Sold individually £24. If you’re looking for a more affordable stand to elevate your plants, this simple one from Matalan, could be a contender as it’s a steal at £12!! 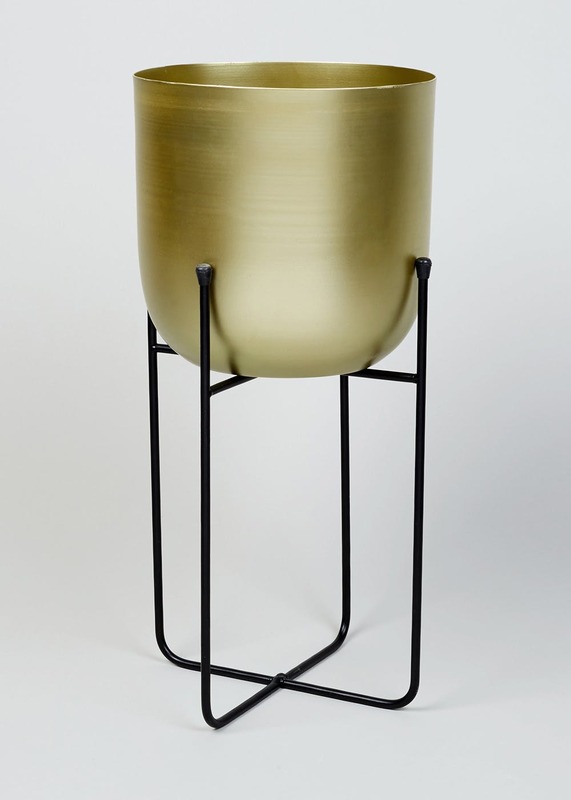 It’s a great way to introduce some metallic glamour to your homes and forms part of Matalans Nomad Folk trend. Ok so this is a tray on legs, but how versatile is this design. It’s deep enough to house several plants together to create your own miniature garden. Of course, you don’t have to use it to display all your plants. Because the tray is removable it makes a great vessel for transporting your morning cuppa and biscuit stash with a plant or two (depending on the number of biscuits that is). 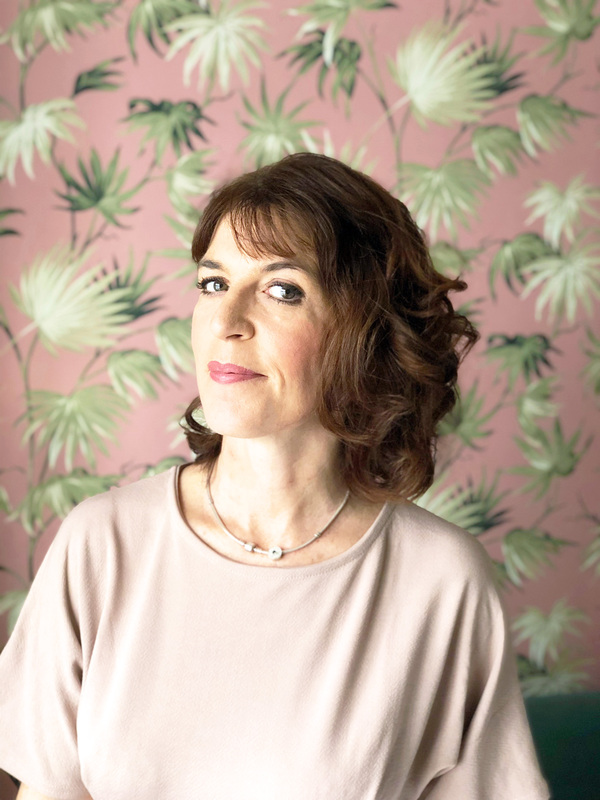 The contrast between wood and metals surfaces appeals to my love affair with texture and is neutral enough to look fabulous in most homes, particularly rustic modern and scandi styles. It’s a brand new design to The Forest & Co and will be available within the next few weeks. You can pre-order now. I think it’s going to be a best seller myself! Available in two sizes and prices start at £65. This final design is one for the dedicated green-fingered plant lovers amongst you. As you can basically create a whole indoor jungalow party area in your home with this unique display bench. It’s been designed and made in Brighton by Little Deer who I’ve featured before with their rather unique alternative clothes rail design. It’s made from beautiful copper and birch plywood. And you don’t need to worry about the copper tarnishing as Little Deer treat and coat their products to ensure they keep their rose gold colour and shine. Have a wonderful weekend where ever you are and thanks for stopping by!